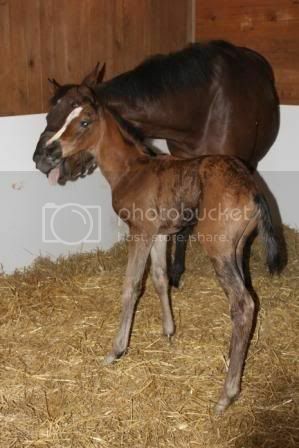 My mare foaled April 9th She was doing laps around the stall at two hours of age, lol. I took the second pic yesterday. Congratulations! She's lovely. I love the angles of her hip and hind leg. Very nice Mood... looks like a winner to me. very cute and spunky looking! 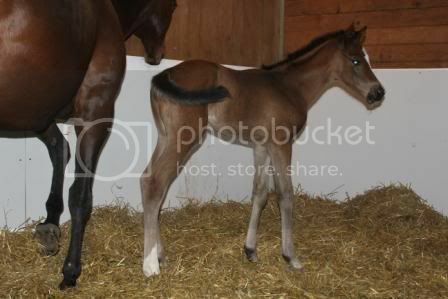 Thanks everyone I'm very grateful to have healthy mares and foals. I keep telling GiGi telepathically that if she just lays down and pushes the foal out she will stopping being so darn uncomfortable.